American earth magnetosphere satellite. Chemical release experiment. R&D satellite NASA, Orbital Sciences Corporation (OSC), USA. Launched 1990. Status: Operational 1990. First Launch: 1990-04-05. Last Launch: 1990-04-05. Number: 1 . Gross mass: 178 kg (392 lb). Family: Earth, Magnetosphere sat. Country: USA. Launch Vehicles: Pegasus. Launch Sites: Point Arguello WADZ. Agency: NASA Greenbelt. Bibliography: 2, 279, 6, 12946. 1990 April 5 - . 19:10 GMT - . Launch Site: Point Arguello. Launch Complex: Point Arguello WADZ. Launch Pad: Aircraft from Edwards.. Launch Platform: NB-52 008. Launch Vehicle: Pegasus. Pegsat - . Payload: Pegsat / Orion 38. Mass: 178 kg (392 lb). Nation: USA. Agency: NASA Greenbelt. Class: Earth. Type: Magnetosphere satellite. Spacecraft: Pegsat. Decay Date: 1998-11-14 . USAF Sat Cat: 20546 . COSPAR: 1990-028A. 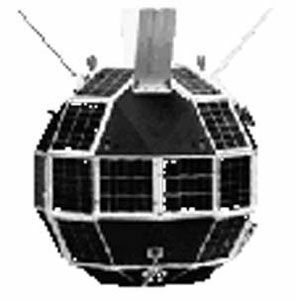 Apogee: 507 km (315 mi). Perigee: 401 km (249 mi). Inclination: 94.10 deg. Period: 93.70 min. Chemical release experiment. Spacecraft engaged in research and exploration of the upper atmosphere or outer space (US Cat B). Air dropped in Point Arguello WADZ..